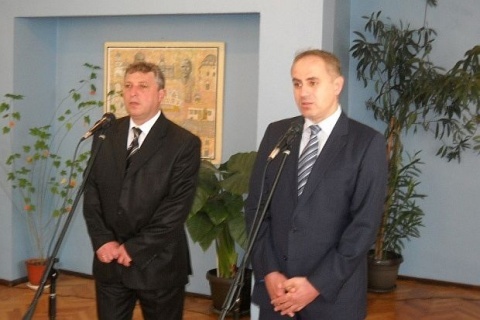 The Coalition Kyustendil has secured a landslide victory in the Sunday elections for municipal councilors in the western Bulgarian city under the same name. With 6 205 ballots (nearly 33% of the vote) the Coalition will have 14 councilors. The left-wing Bulgarian Socialist Party, BSP, came in second with 3 123 ballots (16%) and 7 City Hall seats. The ruling, center-right Citizens for European Development of Bulgaria party, GERB, is third with just 1 917 ballots (10%) and 4 seats. Other parties to be represented at the City Hall include LIDER of energy tycoon Hristo Kovachki, also with 4 seats, the conservative Order Law and Justice party, RZS, with 3 municipal councilors, the Agrarian People's Union with 2, while Initiative for Kyustendil and the right-wing Democrats for Strong Bulgaria, DSB, will have one councilor each. Independent candidate, lawyer Kiril Stanchev, also made the cut and is actually 6th by the number of ballots cast. Voter turnout was nearly 34%.